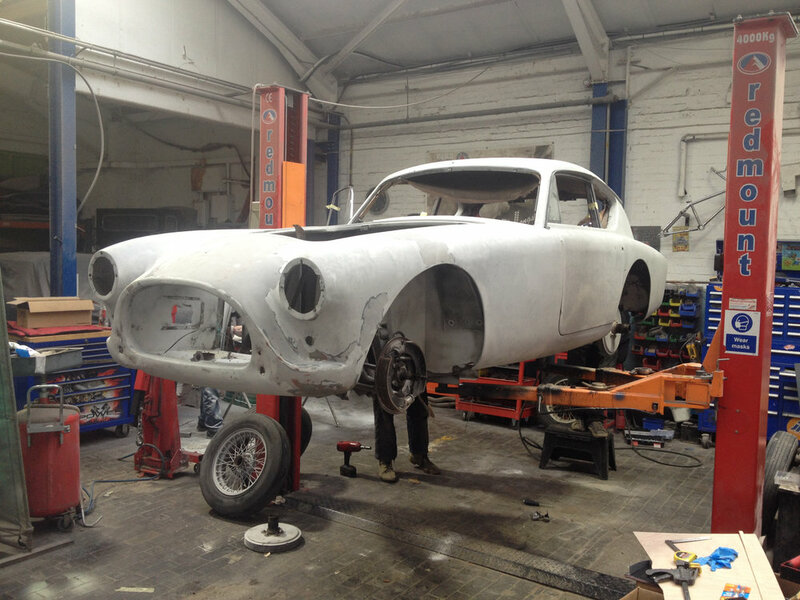 In 2015 Car SOS was contacted to restore this one of a kind AC Aceca. To the owners knowledge the car was being shown in an exhibit for AC Aceca’s until all was revealed at the end. Members of the AC Committe were at the reveal and it wasn’t until after the show when the AC committee got involved that they found out that this was a one of a kind factory installed Triumph engine. In 1957 AC had been looking to replace the AC engine and wanted to try out the Triumph engine as an option.